New York: Viking 1989, first US printing, hardbound in dust jacket. Interzone was the working title for the novel finally published as Naked Lunch. 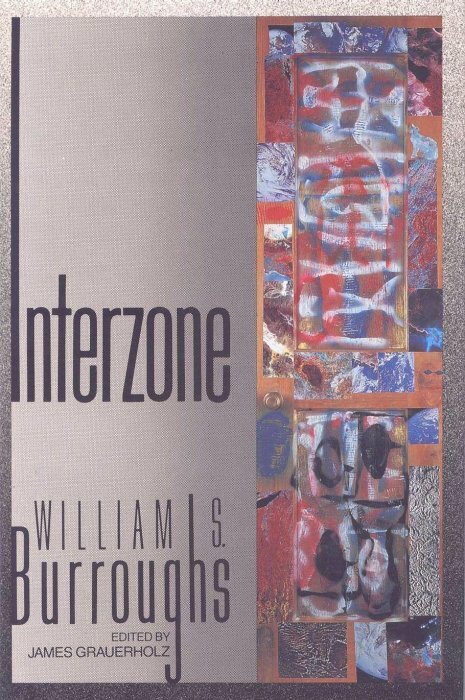 Readers will recognize the “interzone” as the dream-like locus of so much of his fiction, an imagined world where the laws of time, space, and conventional human personality are suspended, where everything is both possible and permitted. Much of this collection of short stories, routines, letters, and notebook entries had only seen publication in fragmentary form until this volume, others had never before been published. The whole was edited by James Grauerholz. _____ Uncorrected Galley Proof of US edition in pale wraps. London: Picador 1989, first British printing, hardbound in dust jacket. _____ Uncorrected Galley Proof of British edition in wraps. New York: Penguin 1990, first wraps printing.